Hey again! Thanks for checking out the digest. As always, If you have any questions or comments about the email visit our thread in the community. 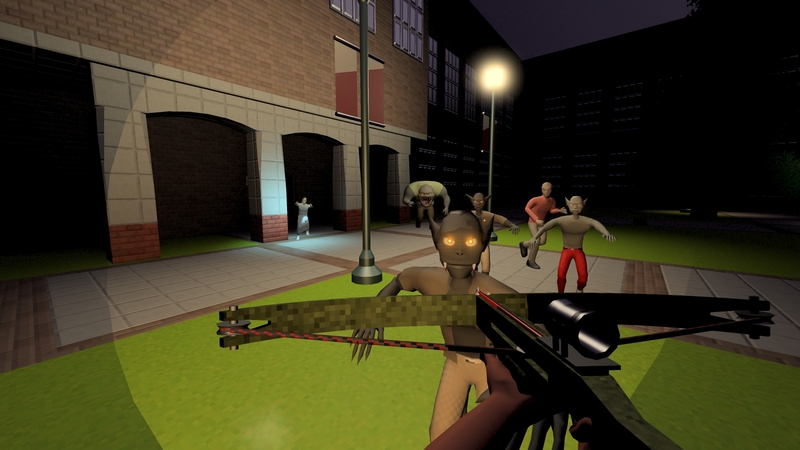 "From David Pittman (Eldritch, NEON STRUCT) and Minor Key Games (Super Win the Game, Gunmetal Arcadia), Slayer Shock is a role-playing shooter about hunting vampires in Nebraska." "A squad-based survival strategy game with procedurally generated levels set in post-apocalyptic North America. Make the most of a terrible situation. See things no one was meant to see. Survive - barely. Play Overland before anyone else, then help us make the end of the world even better." 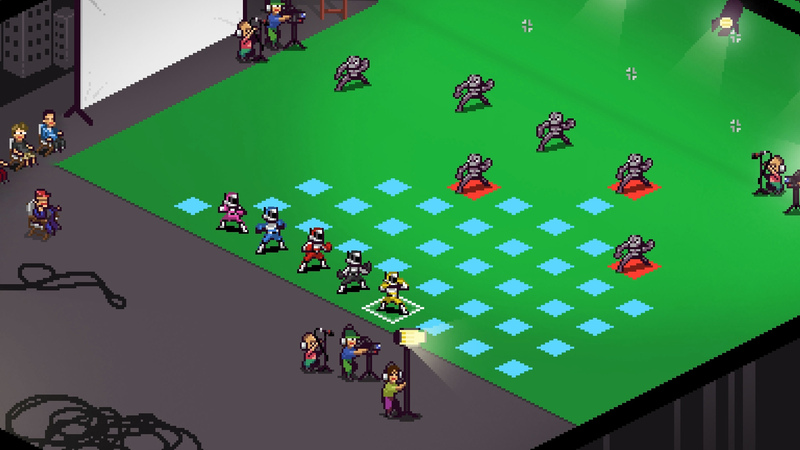 "Chroma Squad is a tactical RPG about five stunt actors who decide to quit their jobs and start their own Power Rangers-inspired TV show! Cast actors, purchase equipment and upgrades for your studio, craft weapons and giant Mechas out of cardboard and duct tape." 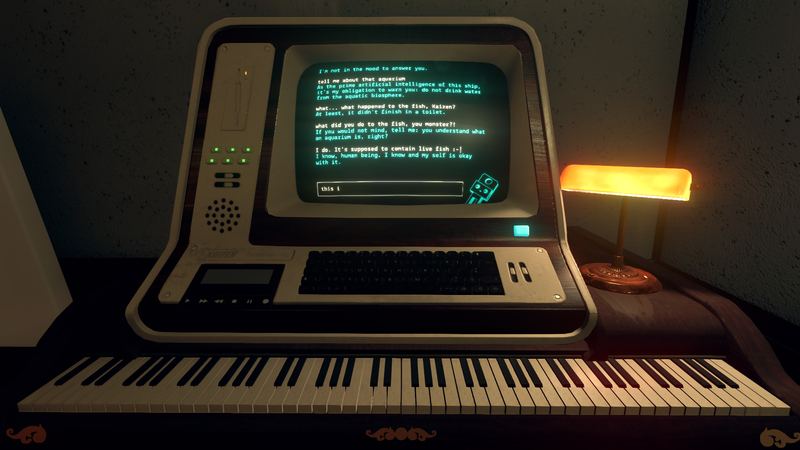 "Event is an award-winning narrative exploration game where you must build a relationship with a lonely spaceship computer to get home. " We're making it easier for developers using Kickstarter to integrate with itch.io. 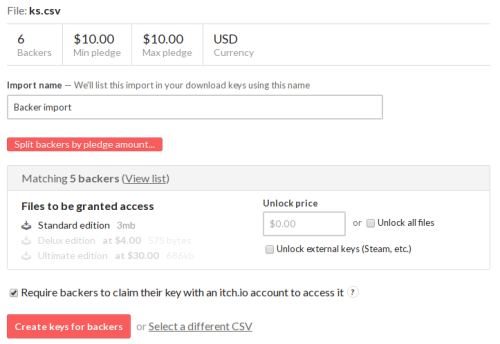 Now you can import your KS CSV and divy up particular keys for different backers. This update works great in conjunction with itch.io refinery and the Kickstarter import mentioned above. Additionally, for jam hosts, we've released the same email tools that previous only games had.